Went upstairs to grab her towel to wash only to see she’s hoarded 12 packets of Tim Tams to bring back to Japan 😂 She must have bought them yesterday when she went shopping with her school. TimTam comes in different flavours but the original is still my favourite. 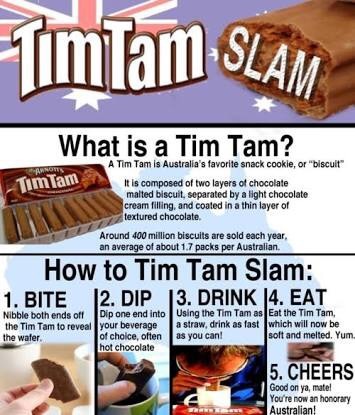 You can do the Tim Tam slam. Not that I’ve ever done that. I just like them with a hot cup of water.